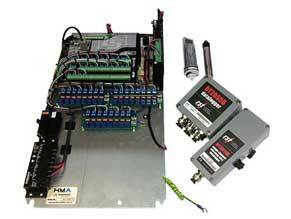 For all the sensor systems HMA Geotechnical market, we provide appropriate Readout units and Data Loggers. These Readouts and Loggers are constructed to withstand the harsh environments found on site. If more protection is required, our customisation service can house them in as rugged an enclosure as is deemed necessary. Data logging enclosure are specifically designed and constructed to meet clients’ requirements. These units can be mains, battery or solar powered.